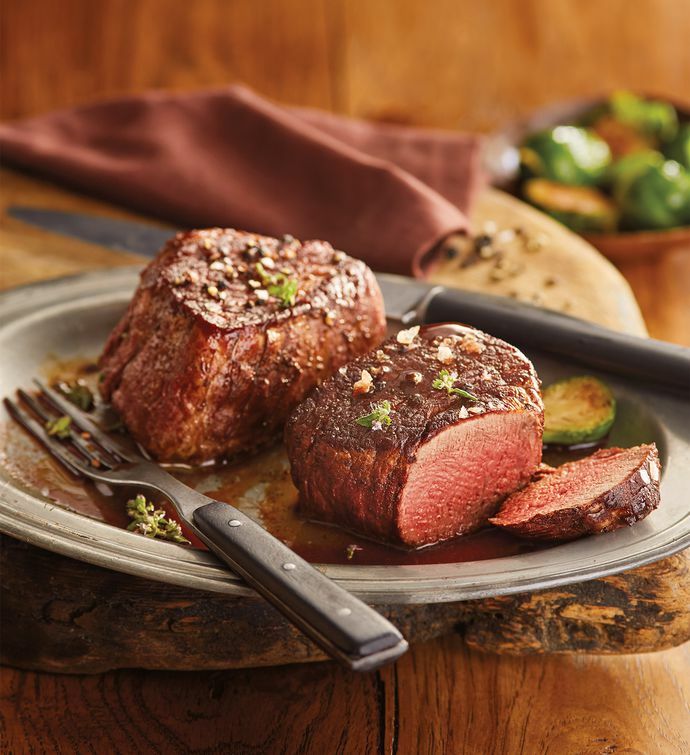 The ultimate favorite, our Complete-Trim Filet Mignon is slowly and naturally aged before it's hand-carved and expertly trimmed of excess exterior fat. The result is a deeply marbled—yet lean—steak that melts in your mouth. The filet's exceptional taste and tenderness makes it one of the most desirable steaks on the market. Available in USDA Prime or Choice.